As our time machine has landed in Holland, we picture the citizens of Holland speculating on Tulips. The actual pricing is nebulous but, in circa February 1637 the price of Tulips hit their peak; and then dropped precipitously (Wikipedia, 2011). Prior to this drop, people were selling all sorts of possessions just to get their hands on precious tulips and as a result, the hysteria was on! “People selling or trading their other possessions in order to speculate in the tulip market, such as an offer of 12 acres (49,000 m2) of land for one of two existing Semper Augustus bulbs, or a single bulb of the Viceroy that was purchased for a basket of goods (shown at right) worth 2,500 florins." (McKay, 1841). Soon after the drop took place, it finally ended circa May of 1637--where the estimated price at that point was well below the level predicted earlier that year in February; but at the level predicted November of 1636 (Wikipedia, 2011). The hopes and dreams were gone and vanished. 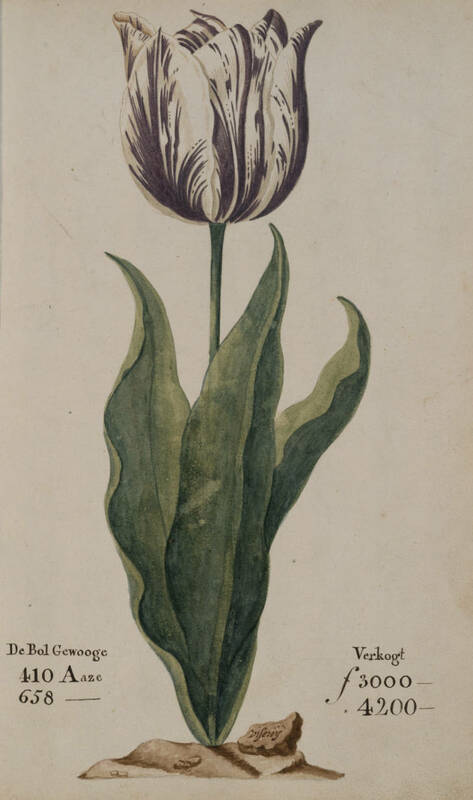 Soon the Dutch were at a point where not one Tulip Bulb could be sold at any price in the winter of 1637 (Sayre, 2011). As we board our time machine and visit year 2011, we have just seen a similar scenario in the Real Estate market. A countless number of workshops, infomercials, info packages, RE Gurus, etc appeared between in the marketplace between the years 2004-2008. These gurus were experts sent to us to help everyone become wealthy via Real Estate; specifically through flipping houses. Flipping homes is highly speculative venture. Banks were loaning money based on this speculation on the hopes that the prices would increase and the borrowers would pay back at a higher rate of interest. The Banks were willing to deplete their cash reserves in exchange that this form of speculation would eventually yield a handsome profit. Of course, both the Federal Reserve and the US government made this particularly easy by establishing lower interest rates on the loans. However, similar to the Tulip mania, this too fell down like a deck of cards. The Law of Diminishing Returns and the Economic concept of elasticity do not discriminate. Now in cities, many homes are overbuilt and the vacancy for home inventories increased due to foreclosure, which is parallel to a similar event that took place in the 1600s-the crash of the tulip mania- one can conclude ultimately that the net effects both events are no different. This same tale can be reviewed in the 1990s with the Tech stock bubble also, or other asset bubbles throughout history. A current tale is brewing with Baby Boomers with their investments inside of 401k type plans, and currently they are seeing great losses as they are approaching retirement. Of course the current battle cry is investing in Gold, which has its upsides; and also some obvious flaws. Gold is not immune to the aforementioned Economic Principles too. Savvy investors realize this, and have retained most of the Gold reserves waiting for the lemmings to drive up the price more. How can you protect your hard earned wealth from these types of mania attacks? You must become educated in how the process works. Increasing your financial knowledge base is a starting point, and you should never assume that the price of an investment always goes up in price. All goods and services have the ability to go down in price, especially after a great run has occurred. Right now the Stock Market has hit its low also, so what type of strategy is in play with your 401k plan? McKay, C. (1841). Extraordinary Popular Delusions and the Madness of Crowds. Unknown: Unknown. Mises, L. v. (1998). Human Action. Auburn : Ludwig von Mises Institute. Sayre, H. (2011). The Humanities: Culture, Continuity and Change Volume 2. Upper Saddle River, NJ: Prentice Hall. Here is an article discussing the ills of the 401K plan, by Robert Kiyosaki from his "Conspiracy of the Rich" series. It is more info discussing the issues with investing in a 401k type plan. Oh here is another article from the Wall Street Journal discussing the ills of 401k plans for Baby Boomers. Enjoy and be enlightened. Personally, I believe people want to be smarter with their money. No one likes losing money. The problem is that our government-controlled education system does not allow much financial education. So, instead of people being smarter with their money, they’re blindly investing in 401(k)’s – and losing financially. Plainly said, 401(k)’s are for dummies. 1974: The Rules Were Changed. In Conspiracy of the Rich, I wrote that in 1974 the US government began the 401(k) plan and paved the way for our retirement plans to become one more way for the rich to get their hands into our pockets. Prior to 1974, most employees had company- or government-sponsored retirement plans. In other words, if you were a good employee, you would receive a paycheck for life, even after your working days were over. Today, in 2009, companies that maintain those types of retirement plans are dying. Companies such as General Motors and the Federal government cannot afford to pay workers a paycheck for life. To reduce the company’s expenses, employees were told a 401(K) was a great way to save for their retirement. The problem was that in 1974, even through the rules of employment had changed, the school system did not change. Rather than teach students about money and investments, the schools to this day bring in the very agents of the rich, the financial planners and bankers, the very people that profit from financial ignorance, to teach our children about money. After 1974, big business and the government pushed millions of workers into the 401(k) plan, and a whole new profession was born – financial planners. When the 401(k) plan arrived, many insurance salespeople changed their title to financial planner. Even back then it was hard to get a sales appointment if you called and said, “I want to sell you life insurance.” This new title of financial planner was more accepted, sounding more dignified and important, and hence, making it easier to get a foot in the door. I know this because back in 1974 I was out of the Marine Corps and looking for a job that would teach me the art of selling. I remember an insurance company recruiter telling me, “Don’t worry about being called an insurance salesman. We’re changing the title to financial planner. You’ll still sell insurance because that is where you make most of your money. But you will get in the door by saying you are a financial planner.” Today, millions of people have left their jobs to join the ranks of financial planners, preying upon people hoping to have some sense of financial security once their working days are over. The October 2009 issue of TIME magazine quoted a former human-resources executive as saying the 401(k) is, “The biggest scam ever put on the American people.” I agree. I am afraid that for millions of people the 401(k) will not provide the security they desperately need. For millions of people, all over the world, these investment plans for the financial naïve will prove to be one of the biggest financial scams ever perpetrated upon innocent people. In 2002, I published Rich Dad’s Prophecy: Why the Biggest Stock Market Crash in History is Still Coming…And How You Can Prepare Yourself and Profit from It! As expected, the book was trashed by the Wall Street Journal, Money Magazine, and Smart Money. Now it seems the press is beginning to agree with my 2002 book. But here’s the problem: if my predictions are correct, the biggest stock market crash in history is still coming. During the last depression, only a few people were dependent upon the stock market for security. Back then most people did not invest in stocks. Those that did often invested on margin, meaning they used borrowed money. This borrowing on margin caused a large financial bubble, and when the bubble burst, the depression began. Yet, that crash did not really affect as many people as you’d think. In the 1930s, many still lived on farms, which meant they could survive even if the stock markets were down. Also, during the last depression the US dollar was still backed by gold, which meant it had some intrinsic value. Savers could safely save money. During the last depression, there were no credit cards. Since debt was hard to get, most homes were paid for. As stated in Conspiracy of the Rich, World War II and the Korean War conveniently broke out, and the Great Depression was officially over by 1954, twenty-five years after it started. (In 1929, the Dow hit a high of 381 and then proceeded to crash. It took till 1954 for the stock market to once again hit 381). Once the depression was over, the conspiracy changed the rules. In 1971, Nixon took the US and the world off the gold standard, and America was on its way to becoming the biggest counterfeiter in world history. In 1974, the 401(k) system began, forcing many people who did not trust the stock market to depend on it for their retirement. Today, our leaders are doing anything possible to stop this recession from growing into a depression. They are printing trillions of counterfeit dollars. This new recession, caused by the 1971 and 1974 rule changes, is wiping out jobs, destroying home values, and erasing the savings in bank accounts and 401(k)’s for millions. Millions of lives are being financially destroyed due to financial ignorance. In spite of the losses, our leaders continue to say, “Save more money,” even though our money is now counterfeit money. And they are also saying, “Invest for the long term in your 401(k),” even though the 401(k) has lost money for the past ten years. On top of this, the US goes ever deeper into debt, making trillions in future financial promises that everyone knows we cannot afford to keep. The reason the 401(k) is all most investors have is because our school system is failing us. Without an honest financial education, a 401(k) is all most people know. Even today, after the failure of the 401(k) is evident, our school system continues to invite financial planners and bankers into the classroom under the guise of financial education. This is not honest. This is deceptive. This is self-serving. This is the conspiracy in action in our schools. If a 401(k) investor had invested in gold or oil in 2000, they would be in great shape today. You do not need a financial planner to invest in gold or oil. Indeed, they won’t even sell you those gold or oil. The reason financial planners don’t recommend tangible assets like gold or oil is because the 401(k) does not allow them to sell hard commodities. In other words, why recommend something if the sales person doesn’t make a commission? If a person had invested in gold rather than the stock market in 2000, they would be up 400 percent instead of down nearly 30 percent. But in the end, the 401(k) is not the problem. A lack of financial education is the problem. The greatest transfer of wealth in history is on right now. Many people who use to be rich will soon be poor. And those that have invested in their financial education will become richer. Now is a great time to invest in your own financial education. It is time to find out what is best for you – not what is best for your financial planner’s commission. The economy will be down for at least two or three more years – if we do not go into a depression or hyperinflation. Wealth is currently transferring from the financially naïve to the financially smart. Remember, your brain is your greatest asset. Protect it. It is up to you to decide what goes in it. Your brain does not belong to President Obama, the school system, Wall Street, the banks, financial planners, real estate agents, your boss, or even people like me. It is up to you to decide what is best for you, your family, and your future. Thank you for supporting Conspiracy of the Rich: The 8 New Rules of Money. Keep learning. Pay attention to what is going on, even if you have no money. Remember, Knowledge is the new money. © 2010 Robert T. Kiyosaki. All rights reserved. No publication or use without the prior written permission. Taking responsibility. It sounds easy, but it is not. It requires critical thinking. It requires honesty, and it requires a level of maturity. It is simpler to blame someone else for your current plight, but it takes a real man to stand up and accept the challenge to change. I took this quote one from a fellow Facebook subscriber. I find it funny and entertaining. It is amazing how folks still subscribe to the notion that one must invest to save versus save to invest. Investing in the market is fine and acceptable, but financial education is paramount. Why not place your retirement funds into something that is much more solid and secure? Why are people subjecting their life savings to the ebbs and flows of the market without a loss mitigation strategy? Top Rated Life Insurance companies have cash reserves, and then they invest those policy premiums into other investments. They are audited on a regular basis, and must show the pay claims based on the regulations of the various States. These top carriers are successful in managing their portfolios but the financial experts advise us to do the opposite of what these successful Life carriers have done for Decades--maybe for some carriers over a century. The consistent theme by these experts is to invest to save and the life insurance companies do the opposite. No wonder people are confused. With the current stock market volatility, many smaller investors are losing their shirts, shorts, underwear, bras, socks, and whatever undergarments to the equities market. I repeat: There is nothing wrong with investing into the stock market; it is functioning as expected. The issue is still with the investor and his financial IQ. Saving is a slower process, but you must have some cash reserves to deal with the ups and downs of the market. Cash reserves can cushion the down turns, and cash can be used to jump on asset sales that frequently happen in those down turns of the economy. Nothing continues to go up in price; all things have an elastic attribute to it. So while everyone is on hot commodities, stock or bond tip, just remember the lemmings follow the crowd. Model what works. Review the financial statement of a top rated Life Insurance Company. They should know how to invest better than anyone; they are paid to manage risk. P.S. Here is a 28 min teleconference call about how to handle the recent changes in the Stock Market. Ok I have more than one quote for the week. Guilty as charged. I will change it to quote of the day or "important quote". This quote spawned this short note to my reader. That burden typically falls on the citizens viz a viz taxation. What is your plan to mitigate this large expense? Most people think just a job and a 401k plan with the strategy of dollar cost averaging is going to be enough. As baby boomers are approaching retirement age, we are seeing a world in great flux. The vicissitudes of the market are impacting the retirement dreams of many Americans. Do you have a plan "B"? Is your plan "A" sound and does it provide risk management strategies? Or is it based on the whims of the political changes and volatility of the market? These questions must be asked and a proper plan must be in place today to deal with this issues.